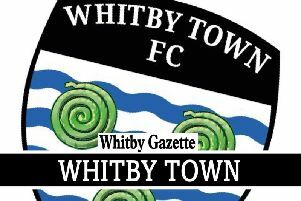 Cask dug deep for an excellent 1-1 home draw against Scarborough Sunday League leaders Angel. Jackson Jowett volleyed the visitors in front in the first half, but the home side played well throughout and were the better side, so their second-half equaliser from Rob Whitehead was richly deserved. Angel boss Dan Jones said: "I think a lot of the lads turned up and saw Cask had only 10 or 11 players here and maybe took it for granted. "We may have had five shots cleared off the line or hit the woodwork but Cask played superbly and definitely deserved a point. "The title is still in our hands but we cannot afford any more slip-ups in our last two league games." Cask player-boss Dan Sheader said: "We only had 11 players available and I cannot fault any of them today as they did not stop for the full game. "Jack Brown was excellent at centre-back as was Rob Whitehead up top, but all 11 of them were great today." Valley eased to a 4-0 home win against Fylingdales, with debutant Joe Gage the star man for the victors. The hosts broke the deadlock four minutes before half-time when Gage took full advantage of a mix-up in the Dales defence to slot home. Eight minutes into the second half a flowing move involving sub James Thompson, Neil Forsyth and Gage saw the latter set up Thompson to fire a shot into the top corner. Gage added a third on 80 minutes, and he then set up James Love to complete the scoring two minutes from time. The man of the match for Valley was Gage, with midfielder Sam Richardson the star man for the villagers. The West Pier v Newlands match was called off due to a frozen Hull Uni pitch. Angel Reserves fought back from a goal down at half-time to win their Division Two game 5-1 at home to Castle Tavern, who turned up without any subs. Paul Mills put the visitors ahead from the penalty spot after he had been fouled in the area. Debutant Jake McAleese levelled for Angel, Jake Moore then firing the hosts in front before McAleese's second made it 5-1. Benny Davis then fired a half-volley into the top corner from the edge of the area, and completed the scoring with an even better strike into the other top corner from 25 yards. Danny Kelly and Davis excelled for the victors, while veteran Paul McFegan and Shane Holt were the Tavern men of the match. Saints claimed a 3-0 win at Roscoes Bar. James Beasley scored twice for the visitors, with Mike Webster also on target. Adam Eustace was named as the man of the match for Saints. The game between Cayton Corinthians and Eastfield Athletic was postponed due to an unfit pitch.